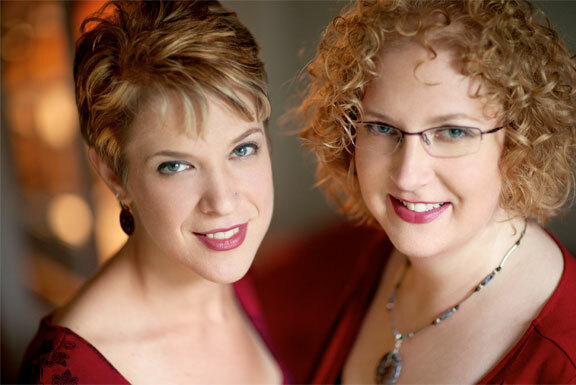 …to the official website of The Caswell Sisters. We are Sara Caswell, violinist, and Rachel Caswell, vocalist, performing original jazz compositions as well as fresh takes on jazz standards and classics. Please take a look around our new website! Check out the itinerary page for where our next performances are, view some photos in our gallery, and as always, feel free to get in touch with us via our contact page. An EPK with all press kit materials is available here. Thanks for stopping by! Rachel and Sara are in the process of adding summer bookings and will soon be announcing concerts in both the midwest and northeast. Stay tuned for details! The Caswell Sisters are delighted to announce the upcoming release of their debut album as a pair, entitled Alive in the Singing Air. Joined by the esteemed Fred Hersch on piano, as well as Jeremy Allen on bass and Bryson Kern on drums – this album features a fascinating array of material that ranges far beyond the usual American Songbook standards.